Work for Windows Communication Foundation? Learning about Windows Communication Foundation? "A great tool for cloud computing and SQL "
This add-on is a great tool to further the cloud computing SQL for small to medium-sized companies. 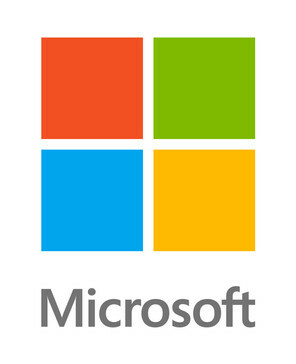 The support system provided by Microsoft only strengthens the assurance in a great product. There were some support delays at times with the SQL requests which were then eventually resolved. Overall, there were no problems detected that may hinder the usage of this tool in given programs. These recommendations may apply to small to medium-sized businesses. The tool was tested for this review on SQL as well as the cloud. Overall the functions and customer support passed but failed to be implemented on the used platform at the user's corporation and cloud. These roles most likely apply to SQL and cloud computing on the mainframe. There was no in-detail test conducted other than at cloud computing and SQL level. Windows Communication Foundation (WCF) is a software to create new and brilliant applications oriented to services for your company, business or to resell the product. With WCF, you can send thousands of data as important messages asynchronously from one endpoint of service to another. Because WCF is built with the .NET Framework, it also includes code methods that support the provision of contracts that you want to apply, but sometimes this may require higher implementation costs. Messages can be encrypted to protect privacy and may require users to authenticate, this platform sometimes has auto login and it is not possible to log out quickly. The WCF architecture has a series of extensibility points. If additional capacity is required, they increase the cost of an implementation. Different transports support different messaging patterns and, therefore, affect the types of interactions they support. The execution time and the WCF APIs also help you send messages safely and reliably. By default, the Add Service Reference feature generates asynchronous task return service methods. It is done for both synchronous and asynchronous methods. In this way, you can call service operations asynchronously using the new task-based asynchronous programming model. A secure service to process all types of commercial transactions. A service that provides data, important and highly current to others, such as a traffic report or other monitoring service that is required internally in companies or businesses. The integrated chat platform that allows two people or more to communicate or exchange data in real time. An application form of a board that provides the data of one or more services to show them in the form of a logical presentation. Use the Silverlight application to poll a service for the latest data sources. Windows does a wonderful job with the documentation when it comes to WCF services. I especially like how its able to communicate with REST services, and WS Discovery. It's a SOAP based service. This kind of support in a REST API service would be amazing. Being able to have a readily built service locator function on a REST service would be great. It's great for having services essentially communicate like bluetooth. WS-Discovery allows for your services to be found on your network so that a discovery proxy, service locator, can easily register/de-register services onto a database. This allows you to essentially only have to check one location for a service instead of multiple. Creating services with it. I'm able to have all of my services on the same network under the same framework. Greatest benefit has been the WS-Discovery. "Great and Fun to use! Microsoft! " Easy to use, fun, friendly, the whole office uses, and students, clients, teachers, employers! There is not anything to dislike at this time, the ease of use is great, maybe more fun visual concepts? This is a great product and our staff uses it daily! It really helps our office streamline things! The ability to use and ease of access to spread information and important announcements to a wide variety of people or specifically a designated group of people. "Nice platform for communicating with independent platforms"
I really liked the base infrastructure for the messaging between variety of independent platforms. The only thing that I do not like is it needs some time to learn all the details and hints of it. I am solving 3rd party integrations of the several modules and applications. Verbose. Too much setup. Definitely not light weight. It is obviously very streamlined for all other windows products which makes it estetically pleasing and effective. I personally am not a windows fan and so my opinion is bias. It, as I mentioned before, really does streamline communicating while completing necessary tasks on the computer at work. It makes multi-tasking so simple. That the security has became more uodated. The most benefits is the privacy and the security in it. It comes in handy. * We monitor all Windows Communication Foundation reviews to prevent fraudulent reviews and keep review quality high. We do not post reviews by company employees or direct competitors. Validated reviews require the user to submit a screenshot of the product containing their user ID, in order to verify a user is an actual user of the product. Hi there! Are you looking to implement a solution like Windows Communication Foundation?